The Green family illegally acquired the artifacts for the Museum of the Bible. Hobby Lobby, the American Arts and Crafts chain, will pay three million U.S. dollars as a settlement due to the Department of Justice. The Oklahoma-headquartered retailer also consented to surrender a huge number of clay artifacts, numbered in thousands, it acquired in 2010. According to prosecutors, the purchase was headlined with warning signs which the company actively ignored. Most of the artifacts were smuggled out of war-torn Iraq. They were first sent to Israel and to the United Arab Emirates prior to being shipped to the United States. The Hobby Lobby case is wild from any angle. It involves pillaged antiquities from Iraq. The long happening trade in antiquities holding dubious provenance has specially become a sensitive topic during the last few years. The terrorist group ISIS has made billions by selling ancient artifacts in the black market. Any smuggled material can be considered of doubtful provenance. Hobby Lobby shipped the illegally acquired ancient artifacts to the company's headquarters for about three years, from 2009 to 2011.The U.S. Department of Justice, in its complaint, noted that U.S. Customs intercepted a number of packages. It then discovered that many of the packages misleadingly had the legend of contents describing the packed goods as clay tiles or ceramic tiles. The origin countries were also a lie. 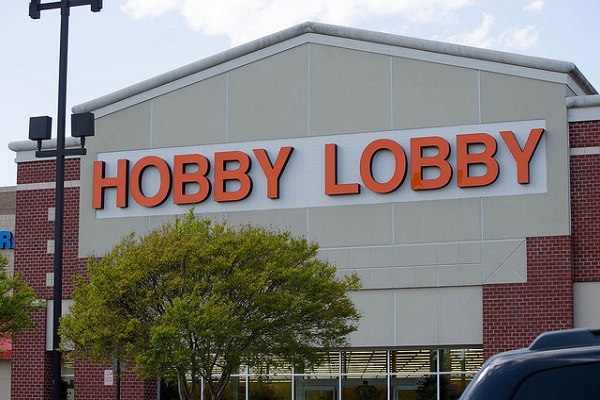 Hobby Lobby named Israel and Turkey as the originating countries. The shipments were actually priceless cuneiform tablets. These are ancient clay slabs which functioned as writing substrates. The packages also contained clay bullae. These are ancient seals from contemporary Iraq. What gave this smuggling case greater attention was who was financing the whole operation. The Hobby Lobby chain is owned by the Green Family. Members of this family are noted evangelical Christians committed to their faith. The Greens are noted for their collection of ancient antiquities. They are now the primary contributors of Washington D.C's soon to be opened Museum of the Bible. The board chairman of this organization is Steve Green. The family name, now linked to the antiquity black markets, will likely bring intense scrutiny to their activities. According to U.S. law enforcement, Steve Green, the president of Hobby Lobby, made a trip to the UAE in 2010. He was accompanied by an antiquities consultant. The latter's purported job was to inspect about 5,548 artifacts worth millions. Two Israeli dealers were also present. The family went forward with the purchase even as the antiquities expert cautioned them against the sale.